Balchsmiede in 1920 first reported this condition as ‘root less teeth’ which was later described as ‘dentinal dysplasia’ by Rushton in 1939. The disturbance of dentin development was recognized, such as highly atypical dentin, accompanied with obliteration of the pulp and defective root formations. Stafne and Gibilisco later reported three cases with similar radiographic findings but there were no microscopic descriptions.2 Carrol O et al proposed a subclassification based on the radiographic findings. They proposed two basic types. Dentin dysplasia type I is characterized by the presence of primary and permanent teeth with normal appearance of the crown but no or only rudimentary root development, incomplete or total obliteration of the pulp chamber and periapical radiolucent areas or cysts. DD-I was classified into four subtypes: Ia, Ib, Ic and Id. Type Ia is characterized by a complete obliteration of the pulp and usually little or no root development. Subtype Ib has a horizontal, crescent shaped, radiolucent line, separating normal coronal dentin from abnormal radicular dentin and short, conical and rudimentary roots. Type Ic affected teeth shows two crescent-shaped horizontal radiolucent lines with their concavities toward each other at the cement-enamel junction. The roots are one half the normal lengths. Normal root formation, which sometimes may be bulbous in the coronal third, is seen in type Id. A stone may be found within the pulpal canal. In this least severe type of DD, normal root formation occurs and the pulp chamber is usually not obliterated. In these cases, the pulp around the stones is healthy. In other cases, the denticle is continuous with dentinal walls. Unlike the first variant, DD type II is characterized by primary teeth with complete pulpal obliteration and brown or amber bluish coloration similar to that seen in hereditary opalescent dentin. The permanent teeth have a normal appearance or a slight amber coloration; the roots are normal in size and shape with a thistle-tube shaped pulp chamber due to sudden constriction of the chamber with pulp stones.3 The sequelae of dentin dysplasia are difficult to manage and provide a challenge for the dentist concerning restorative and endodontic treatment but also prosthetic treatment after loss of teeth.4 This report highlights the multidisciplinary treatment approach of a female child suffering from DD-I facing almost complete edentulous state. PTH assay 28.50 pg/ml, alkaline phosphatase — 465 IU/l) were in normal range. Based on the clinical examination and investigations, final diagnosis of dentin dysplasia type I was made. Patient was treated with using multidisciplinary approach. Based on pedodontist’s and endodontist’s view, extraction of 64 and restoration of all the decayed teeth (54, 55, 16, 65, 26, 36 and 46) were planned and performed (Figs 4A and B). Following this, a complete over denture with soft liner was made under the guidance of prosthodontist to restore the normal esthetics and masticatory function (Fig. 5). Patient was advised to come for regular follow-up visits to make necessary alterations in the denture following eruption of permanent teeth. Both upper permanent canine and right first premolar were got extracted in due course of time. Continuing follow-up visits and few adjustments after 2.5 years, a new set of denture was made considering growth and development in dentition and otherwise (Figs 6 and 7). Altogether four teeth were removed till date (Fig. 8) and sent for histopathological examination. A considerable change in the patient attitude and confidence level was noted (Figs 9A and B). Ground section of extracted tooth under stereomicroscope revealed thickened dentin and narrow pulpal space (Fig. 10). As roots of the extracted teeth were of very small size though the abnormality in radicular dentin was noted. period, obliterate the pulp space. The second states that the early invagination of the epithelium in the embryonic process subsequently generates multiple foci of dentin formation. to DD-I.9 Variety of congenital syndromes, including familial calcinosis and the brachioskeletogenital syndrome and Ehlers Danlos syndrome, is a systemic condition of genetic disorders of collagen in which patients reveal skin abnormality and joint hypermobility have been reported in association with DD.5,6 Life expectancy of dentition is minimal, although various treatment strategies, including conventional endodontic therapy, periapical curettage or preventive regimen, have been proposed to maintain the teeth as long as possible. Early exfoliation of the teeth and associated maxillomandibular atrophy is seen in DD-I.7 Maxillomandibular atrophy is a consequence of no or partial root development and early tooth loss. Successful oral rehabilitation with complete denture after extraction of all teeth and curettage of cysts has been described.10 The treatment plan aims to remove the infection or pain, restores esthetics and protects posterior teeth from wear. Treatment may vary given the age of the patient, severity of the problem and the presenting chief complaint. As in the primary dentition, one of the options is overdenture in permanent too. Those with DD-I have mobile teeth due to very short roots and, as a result, there is early exfoliation of teeth in the primary and permanent dentition.9,10 Until growth is complete, the treatment of choice for the replacement of missing teeth is dentures. Ridge augmentation followed by dental implants may be considered at about 18 years of age, when growth is completed. Exposed dentin is more susceptible to caries than enamel. Regular dental checkups and caries prevention by means of oral hygiene instructions, diet counseling and appropriate fluoride application is essential. Early diagnosis and regular dental check-ups however do not aid in preventing premature exfoliation.9 Conclusion The outcome of a diagnosis of DD largely depends upon the age at which the condition is being diagnosed and the rapid treatment protocol. Where diagnosis occurs early in the life of the patient and treatment follows the above recommendations, good esthetics and function can be obtained thereby minimizing nutritional deficits and psychosocial distress. Acknowledgment We thank our patient and her parents for consenting to publication of this case. References 1. Kim JW, Simmer JP. Hereditary dentin defects. J Dent Res 2007 May;86(5):392-399. Suneet Khandelwal et al 2. Toomarian L, Mashhadiabbas F, Mirkarimi M, Mehrdad L. Dentin dysplasia type I: a case report and review of the literature. 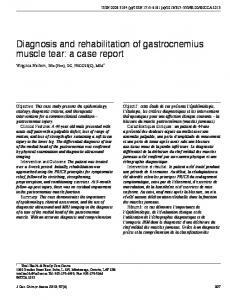 J Med Case Reports 2010;4:1. 3. Carroll MK, Duncan WK, Perkins TM. Dentin dysplasia: review of the literature and a proposed subclassification based on radiographic findings. Oral Surg Oral Med Oral Pathol 1991;72(1):119-125. 4. Pettiette MT, Wright JT, Trope M. Dentinogenesis imperfecta: endodontic implications: Case report. Oral Surg Oral Med Oral Pathol Oral Radiol Endod 1998;86(6):733-737. 5. Melnick M, Levin LS, Brady J. Dentin dysplasia type I: a scanning electron microscopic analysis of the primary dentition. Oral Surg Oral Med Oral Pathol 1980;50(4):335-340. 6. Ommerborn M, Raab W. Allgemeinerkrankungen und Schäden der Zahnhartsubstanzen. Prophylaxe Impuls 2005;9:66-73. 7. 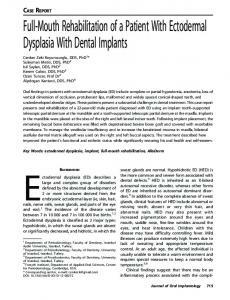 Shankly PE, Mackie IC, Sloan P. Dentinal dysplasia type I: Report of a case. Int J Paediat Dent 1999;9(1):37-42. 8. Effrey D, James K, Hartsfield J, Wrigth JT, Hart TC. Dentine dysplasia, type II. Linkage to chromosome 4p. J Craniofac Genet Dev Biol 1997;17(4):171-177. 9. Barron MJ, McDonnell ST, MacKie I, Dixon MJ. Hereditary dentine disorders: dentinogenesis imperfecta and dentine dysplasia. Orphanet J Rare Dis 2008 Nov 20;3:31. 10. 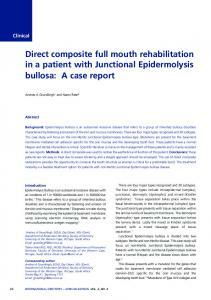 Neumann F, Wurfel F, Mundt T. Dentin dysplasia type I — a case report. Ann Anat 1999;181(1):138-140. 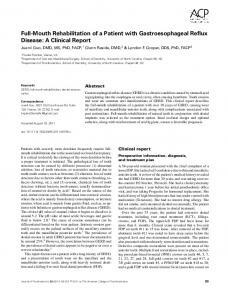 Report "A Case of Dentin Dysplasia with Full Mouth Rehabilitation:"